That is an absurd starting price for a pickup with no options. I get that its a collectors piece, but is the bespoke badging and trimming really worth that? Resale value on these trucks has been really high on older models, so people are still looking for them. At least sales of these trucks will bring some extra cash flow to HD. This partnership paid off for them in years prior. It will be more beneficial to Harley than Ford as they have had no issues moving F150's over the past few years. I know they are also currently developing an electric variant of some kind. I was hoping this would die off with the old stock Harley demographic leaving the game. Ford should focus more on Ford specific packages instead. An electric F150 is going to have a really tough time with some of the new contenders that I've been seeing. While they are relatively new companies both Rivian and Atlis have some incredible EV concept trucks. I heard that GM already worked in carbon fiber body parts which is a big move for such a heavy segment. Ford doesn't seem interested in that route to improve pickups. 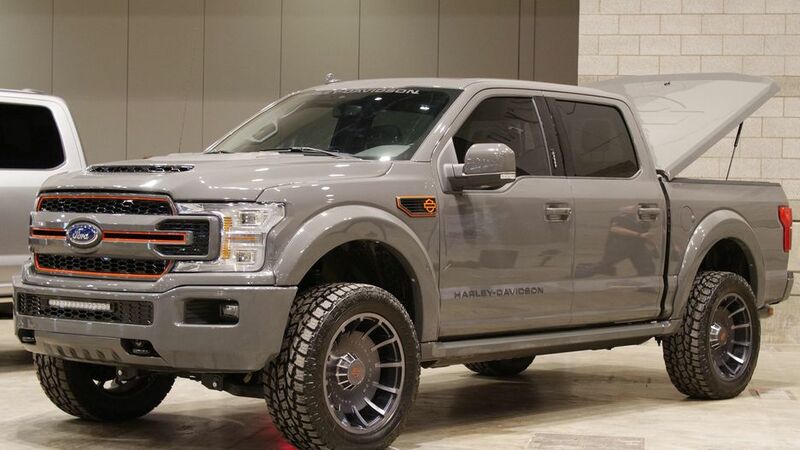 Just wanted to note that these new HD F150's are not being upgraded directly from Ford. It will be Tuscany Motor Co that's based in Indiana that will be responsible for building these new officially licensed models. There are more than 70 new proprietary parts on this truck. More and more automakers are beginning to directly offer in-house tuning packages for their vehicles, still covered under a factory warranty. They've come to realize the kind of revenue they are missing out on, and it gives new owners a piece of mind that they wont have to worry about repairs or issues out of pocket.